Joined on July 21st 2015, last online 1 day ago. 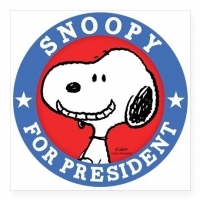 Your profile pic is very interesting, is Charlie Brown going to be your Vice-President? Not sure. I'm going to set up a presidential election on vgchartz I think. I wasn't comparing MCC to SFV or denying it had a lot of content. I didn't even bring MCC into the conversation. Snoopy hasn't added any games yet!